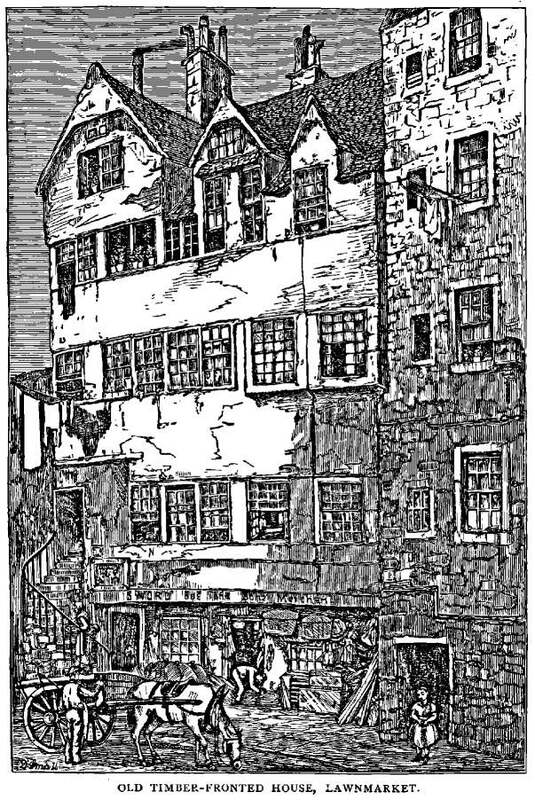 The Tenement: "Auld Reekie" and the "New Town"
"Auld Reekie" and the "New Town"
Due to the pall of smoke that covered the city and which could be seen for miles, the city of Edinburgh earned the nickname "Auld Reekie" (Old Smoky). 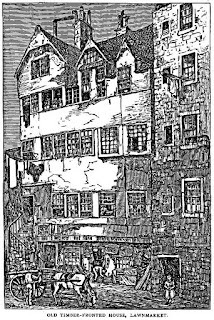 There was serious overcrowding up until the mid to late 1700s, rich and poor lived side by side with the more affluet taking accomodation on the upper floors of the tenements, leaving the lower floors to the poor. (It was one of the most densely populated areas on earth at that time). That was until 1751 when a building collapsed. 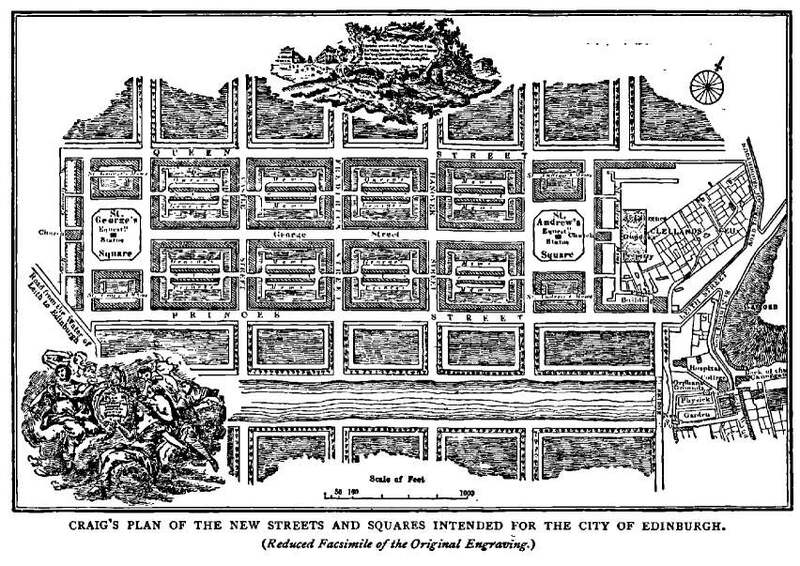 Something had to be done so a competition was held to create a New Town in Edinburgh. 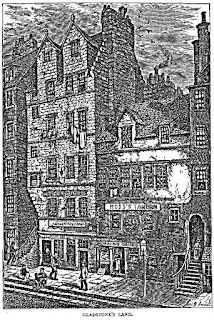 James Craig, a young Architect aged 22 was the winner in 1766 with his design of a grid system and an area was chosen to the North of the old Town. 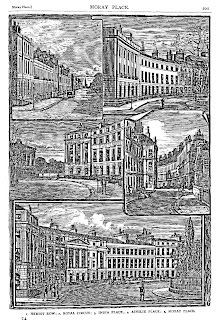 Charlotte Square, Edinburgh. 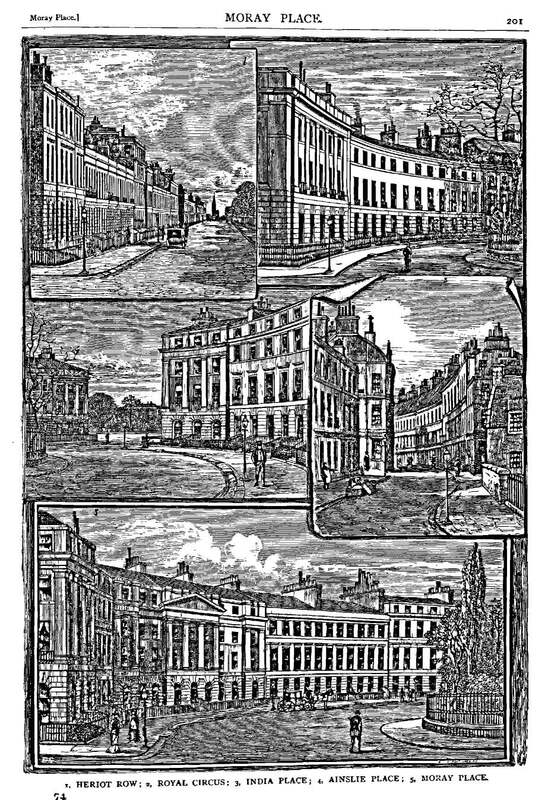 The final phase of the New Town, designed by Robert Adam. The Green Room in my Tenement is representative of a room occupied by a person of higher rank, who would shortly be moving to the New Town. This moves the whole experience forward by 100 years and is the last room in The Tenement to be recreated. 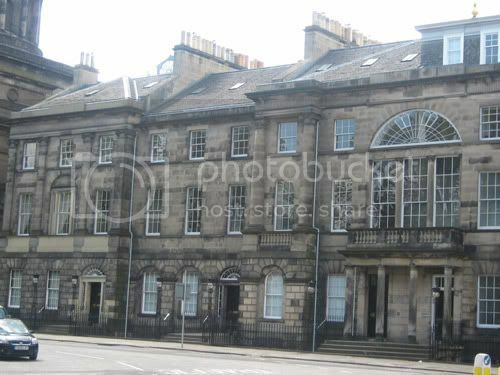 My Tenement has a further two rooms while the extra floors in the real Gladstone's Land are now holiday lets. You can see here: The Green Room (Scroll down, third picture on the right) what I'm aiming for. 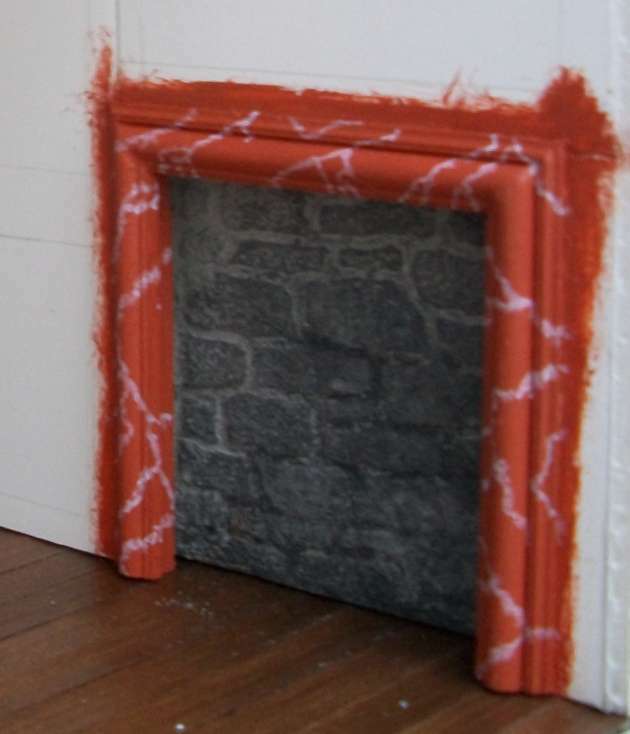 Since that photograph was taken, the cupboard at the back has been altered to one considered to be more fitting to the period and the fire surround has been changed slightly too. More on the decor later. 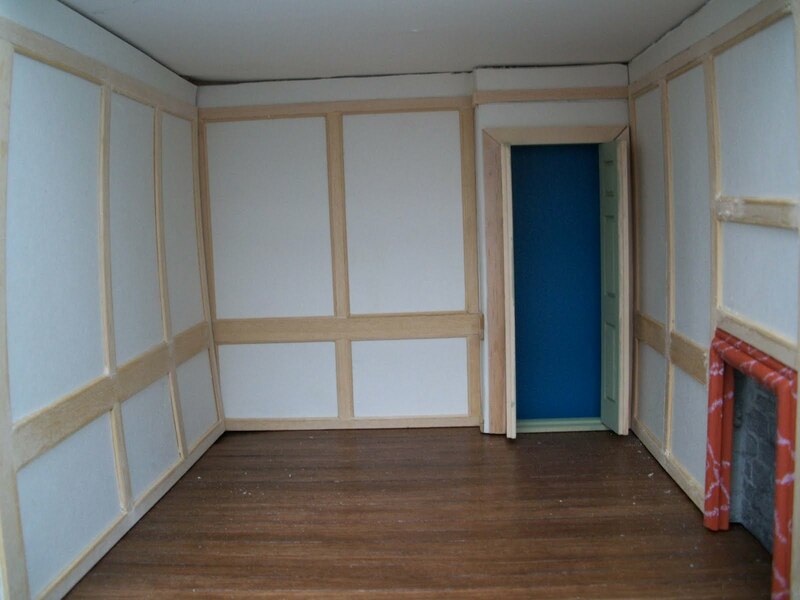 I finally managed to master the panelling and at the moment it's just propped into place. A little sanding and tidying up and it will be ready to be painted. 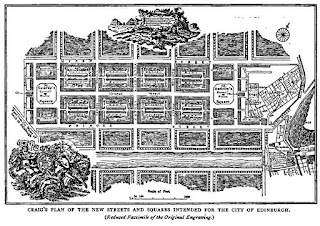 It may interest you all to know that while this grand new plan was referred to as "The New Town" - nearly 300 years on, the area is still known and referred to as The New Town. Wonderful, Irene. 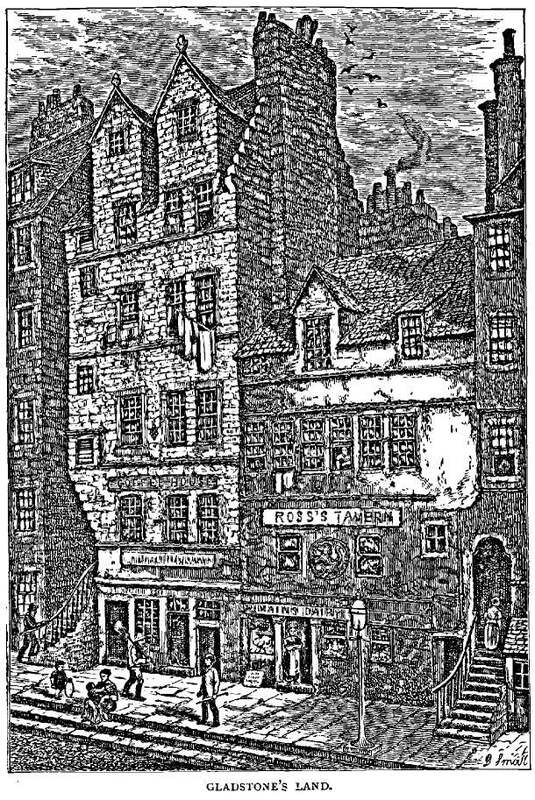 Thanks so much for this great Post - historical AND an update on The Tenement. My Mother and I go to seminars in marquees set up in the middle of Charlotte Square and off George Street, when the book festival coincides with the Tattoo. The architecture is one of the things that really make it a special event. I love your paneling, particularly over the fireplace. The red marble will work so well with the the wall colour. Thanks Simon. I'm pleased you enjoyed my little history lesson and didn't realise you occasionally actually make it into Edinburgh when visiting mum. The panelling has been painted now but I can't do anything with it till the wall lights are sorted out. 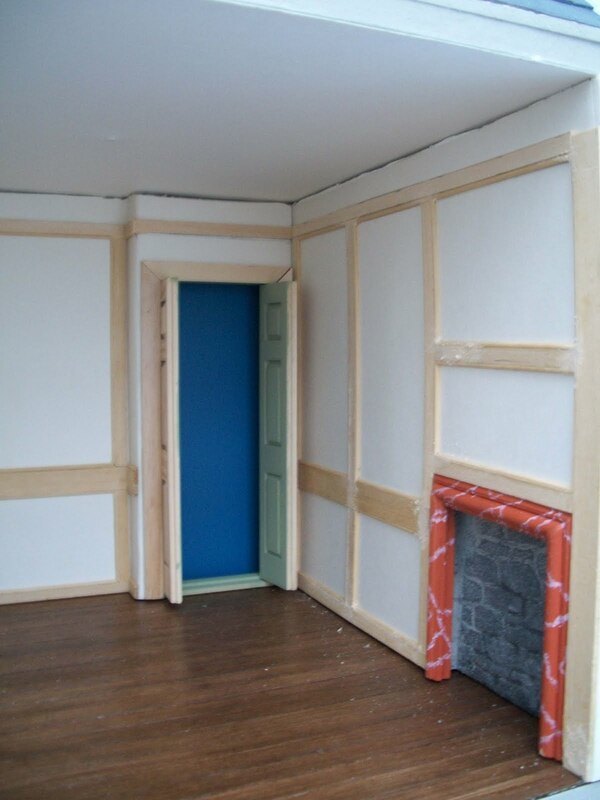 Glad you finally got the panelling done. It's awful when you reach a stumbling block and can't seem to move on. You'll fly through now. The panelling looks perfect and I look forward to seeing it painted as well. What will you do with the last 2 rooms? Thank you Christine. I already have plans for the last two rooms (one room and attic space). Given that the real property is across the road from the High Court, I figured it wasn't unreasonable to assume that a lawyer may have taken lodgings there so that's what I'm doing with the last room. There will be a cobbler in the roof space (a vertically challenged one as there's not a lot of height!). I love when you give us historical details. The room is coming up very nicely. Thank you LJ - Both posts came through! I'm pleased you like what I'm doing here although I do have to take care I don't get too carried away with the history bit! I do love these stories about old times. Thank you!